The doors to Chicago’s finest places and spaces don’t unlock themselves. This year, we’re introducing you to the passionate, enthusiastic people helping us put Open House Chicago 2017 together. 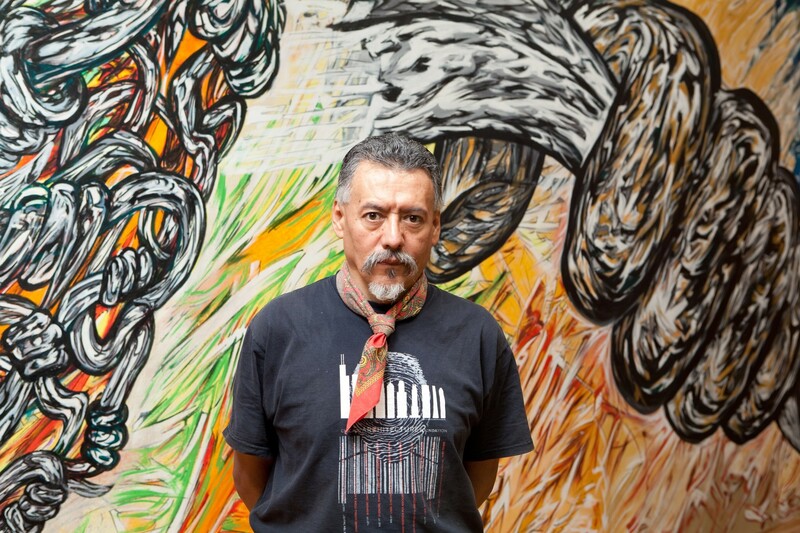 Héctor Duarte is one of Chicago’s most prolific muralists. 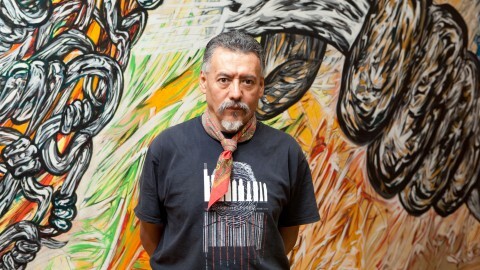 Since moving to Pilsen from his native Michoacan, Mexico, in 1985, Duarte has participated in the creation of more than 50 murals. 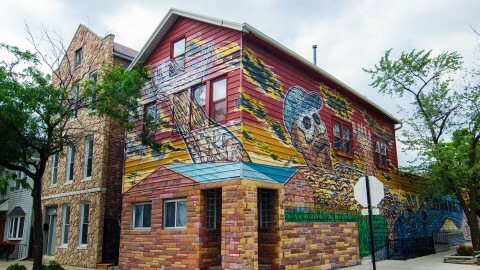 His work adorns schools, libraries and a CTA stop in Chicago. 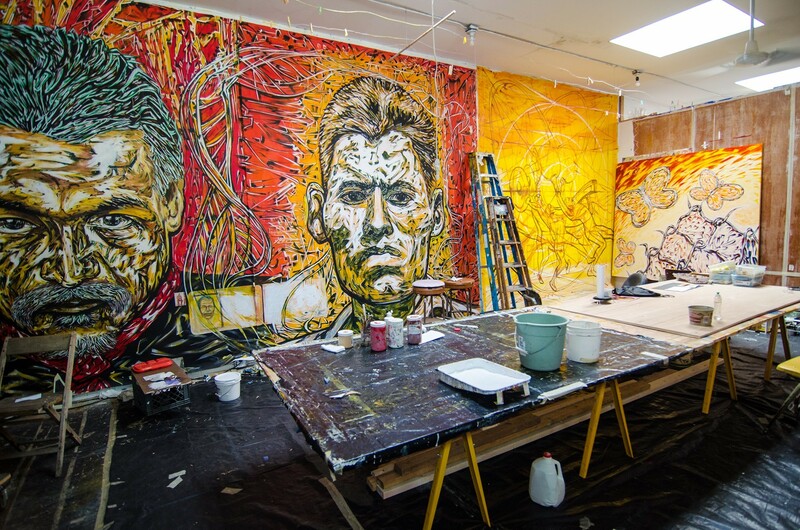 A massive mural is painted on three sides of the exterior of his home and studio too. Covering roughly 3,000 square feet, “Gulliver in Wonderland,” features an outstretched giant who is struggling to break free from the barbed wire that binds him. What is your favorite part about this site? Why should people see it? This is the place where I work and develop my art. I enjoy being able to open my door and share my studio and message with people. Art is typically only seen in its final, finished state; people don’t often have the opportunity to view an artist’s work in progress. 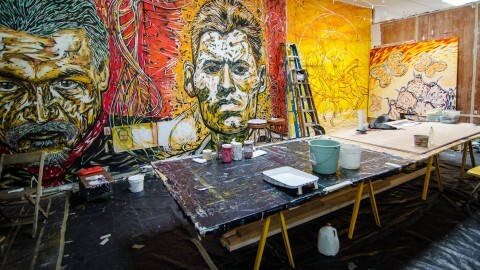 Those who visit my studio get a window into the creative process. 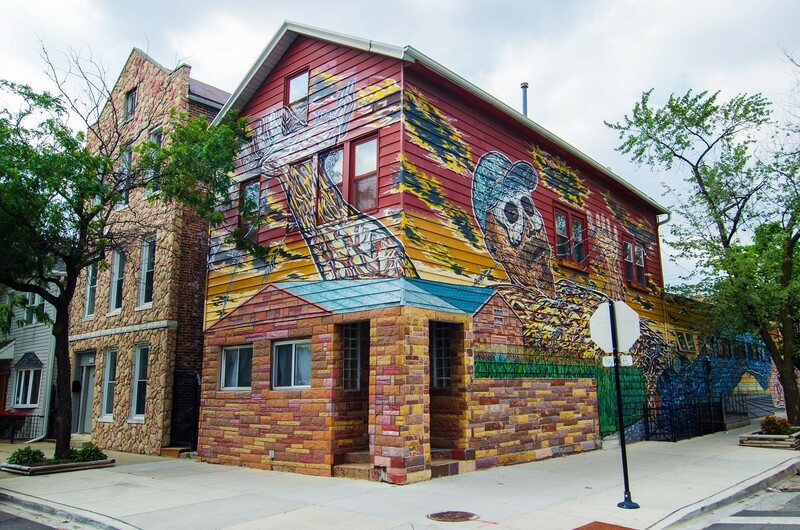 What do you love about Open House Chicago? I love that Open House Chicago reaches so many people. I am always surprised when OHC volunteers count nearly 1,000 people visiting the studio by the end of the weekend. The dialogues that are started with visitors throughout the weekend are tremendous. What is the most unusual or most common question you get asked by visitors? One time there was a group of high school students that came to visit the studio. When I asked the group if there were any other questions, one student responded, “Are the curtains also part of the mural?” At the time, we had 15-year-old curtains that were torn and stained due to rain. We have since upgraded to new curtains. The most common question I’m asked is how long it took me to paint the mural. For the answer, I guess you’ll have to come and ask me. 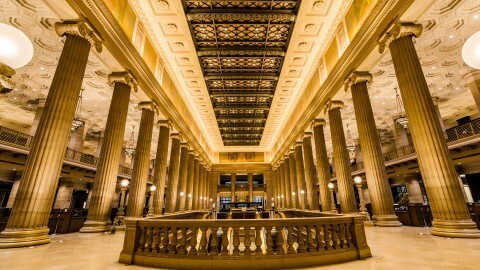 What is your favorite Open House Chicago site other than your own? Unfortunately, I haven’t been able to visit other Open House Chicago sites during the event. But I recommend seeing St. Adalbert Roman Catholic Church in Pilsen. 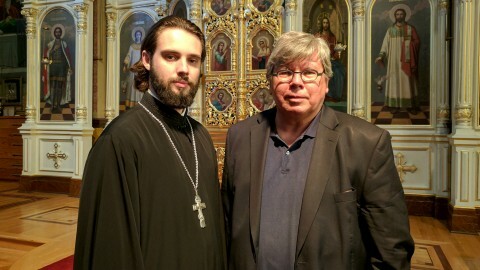 The murals remind me of those in the Catholic churches in the small city where I grew up; murals just like those in St. Adalbert’s were my main exposure to art as a child.